I’m no food connoisseur nor do I consider myself a foodie but I certainly love food. People who know me well know my diet. That is, I have no diet! hahaha. I eat whatever my heart desires. After all, life is too short to hold back on life’s simple pleasures. Anyway, I was one of the lucky few who got a sneak peek at some of the concessionaires of the much awaited summer food fair of the year. Best Food Forward is on its 3rd year and is happening on April 20-21, 2013 at the NBC Tent, from 10 am to 8 pm. 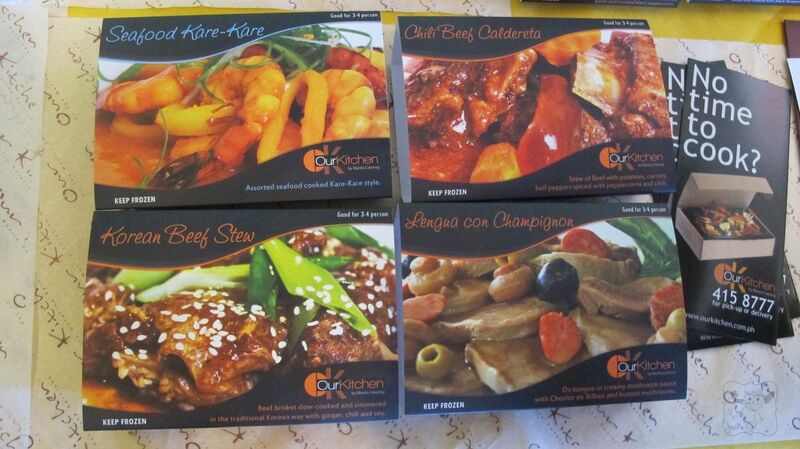 Our Kitchen by Manila Catering offers ready to heat dishes for people who have no time to cook. This is perfect for those moments when moms like me who are too poofed and just want take outs. I have to say their Seafood Kare-kare and Bicol Express were very delicious. Kanin please! I seriously need to stock up on these delicious food. Casa Angeline offers a selection of Flan Pots, Macarons, and Cream Puffs. 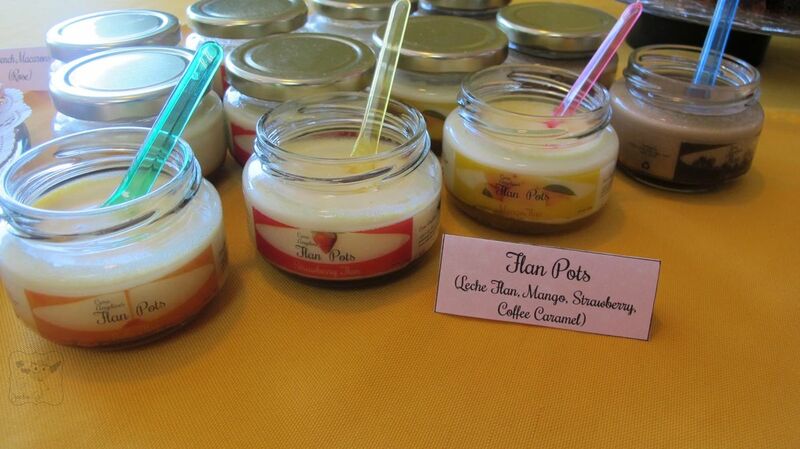 I was curious with their flan pots and cream puff (ah that caramelized sugar on top) but sadly wasn’t able to try them. Oh well, maybe at the expo instead! 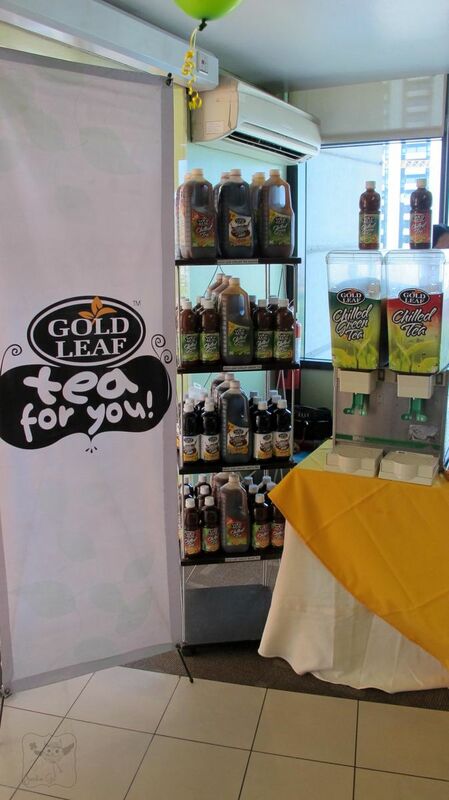 Gold Tea Leaf isn’t new to me, I’ve been a fan of their Fiesta tea which tastes like sago’t gulaman. They have other unique flavors too so check them out, perfect drink in this scorching heat! 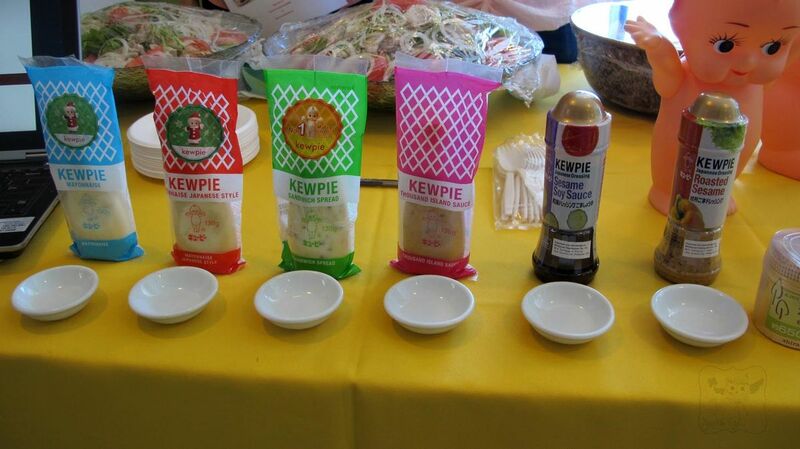 When you say Japanese mayo, only one brand comes to my mind- Kewpie . They now have a variety of mayonnaise and dressings. I have to say their Roasted Sesame Dressing should be a staple in every household. Perfect for salads, steamed vegetables, pasta or chicken. Yep, I’m totally buying one on my next grocery visit. Kalookies. I’ve been seeing this cookie with a twist in my social media feeds for some time now and when I saw them that day, OMG I was super giddy! 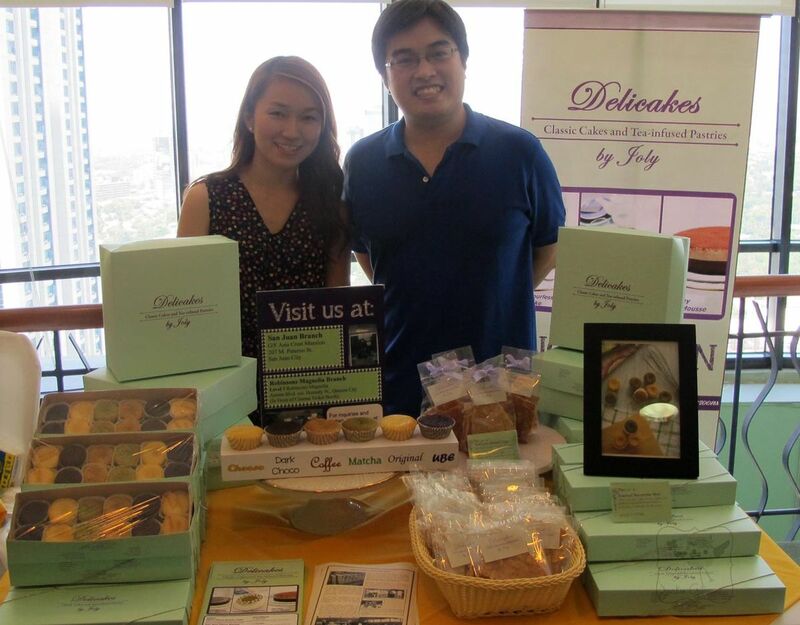 Glad that I have met the accidental baker behind it- Kal Kaimo & his lovely girl friend Arianna Colamonici. I’m no fan of peanut butter but their Reese flavored one was delicious and their Nutella was my favorite. Truly once you’ve tasted them, you’ll go kalurky (okay that didn’t sound right) but yes it’s true. It’s definitely not your average cookie, its chewy & flavor-filled goodness will get you hooked. I’m in love with Kalookies! Yes, yes, I’m ordering soon. Macaron. I have to say I’m very picky when comes to this dessert because I find most of these all one and the same- all sweet and colorful. Until I tasted Mrs. Graham’s uniquely flavored macrons! OMG their Inside-Out-Smores is so good I wanted to get the entire container and keep it for myself. They also have Maple Pancake (with real pancake inside!) & Cookie Dough flavors. Yummm! Oh and that’s Mr. Graham (what a supportive husband) you see manning their booth. Mrs. Graham had to go to work, but I hope to meet you next time! I’m hooked, I want to try their other flavors too so I’m ordering soon. 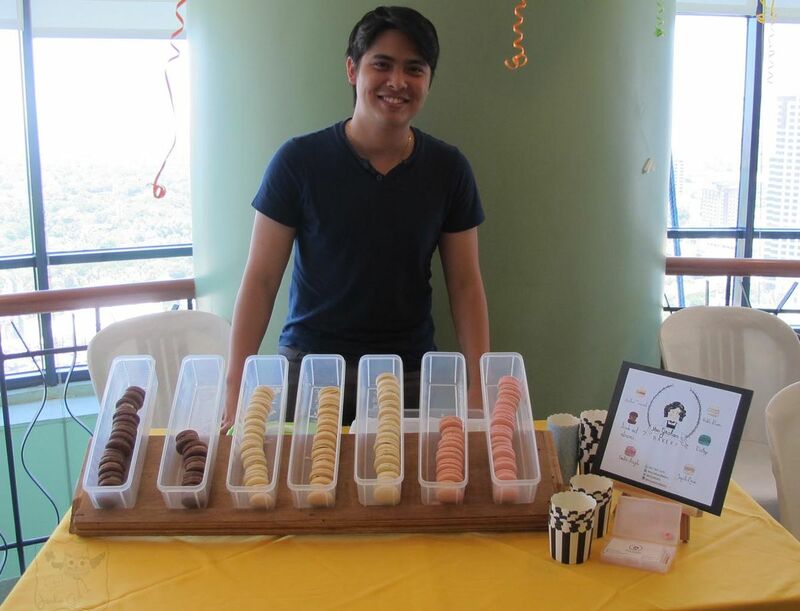 Another concessionaire at the BFF 2013 is Little Pepitas. 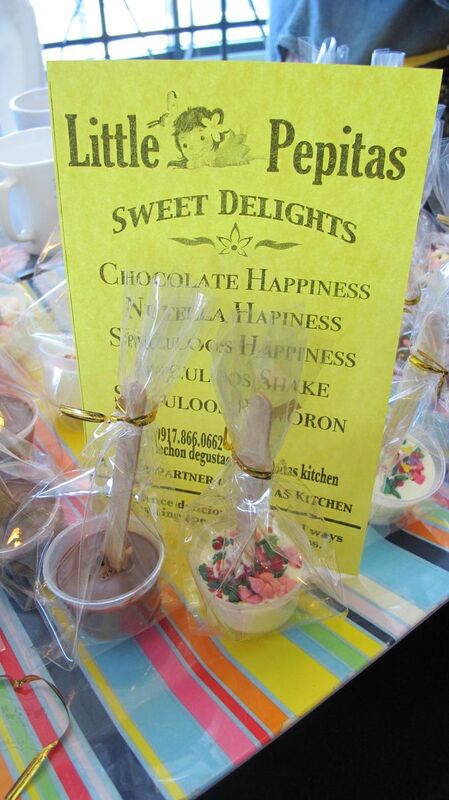 A little girl had this idea of creating chocolate pops that when melted and mixed with milk and hot water can give instant happiness, thus her Happiness creations were born. With a variety of milk, dark, and white chocolate, nutella and Speculoos to choose from. Drinking warm chocolate milk has never been this cute and filled with happiness. If there’s Little Pepitas, I’d like you all to meet Curly Pepitas. They offer magical drinks that are quite good. Want beer but don’t like alcohol? Try their Butter Beer that tastes like vanilla milk shake. They also have Speculoos shake, Speculoos milk tea (OMG, I want to try- milk tea addict here!) and Speculoos pulvoron. 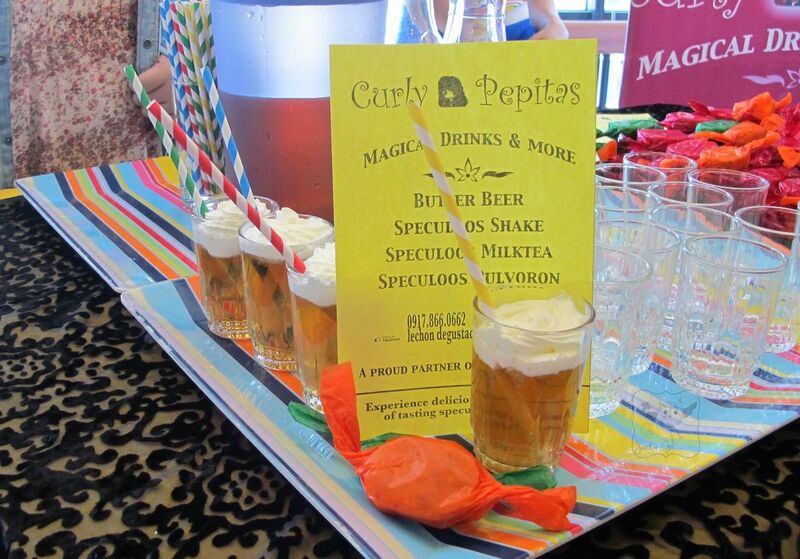 These Pepitas are proud partners of Pepita Kitchen. foods are tempting. i hope i can drop by, medyo malayo kasi ang taguig.